I am so excited today to introduce you to Hotter Shoes today. This company was set up in the UK in 1959 and they have been designing and making footwear now for 50 years! They were kind enough to send me a pair of their loafers and I am in love with them! This style is called the Talia in brown. The first thing I noticed when I took them out of the box were how soft they were, not to mention how cute they were! I knew I would be styling them many, many ways. of course to make the ultimate preppy look. These shoes have classic brogue detailing and a jaunty tassel to set them apart. As I said earlier the leather is super soft and there is an added underfoot cushioning to make them super comfy. They were like wearing slippers. I am now a fan of Hotter Shoes and you need to be too. 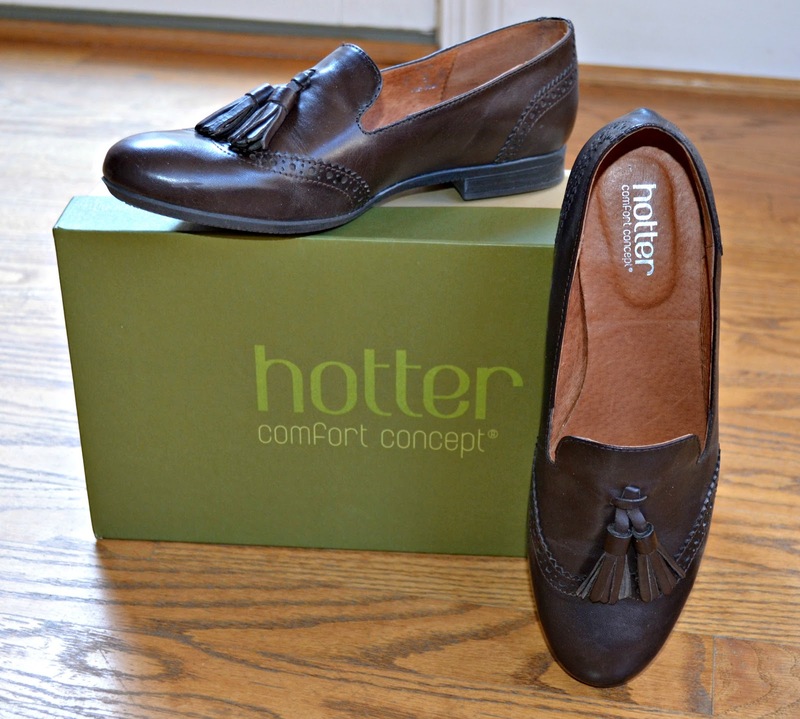 Go check out these and other great styles at Hotter Shoes! Those shoes are too cute! I look forward to seeing how you will pair these in the future. Work those shoes.. 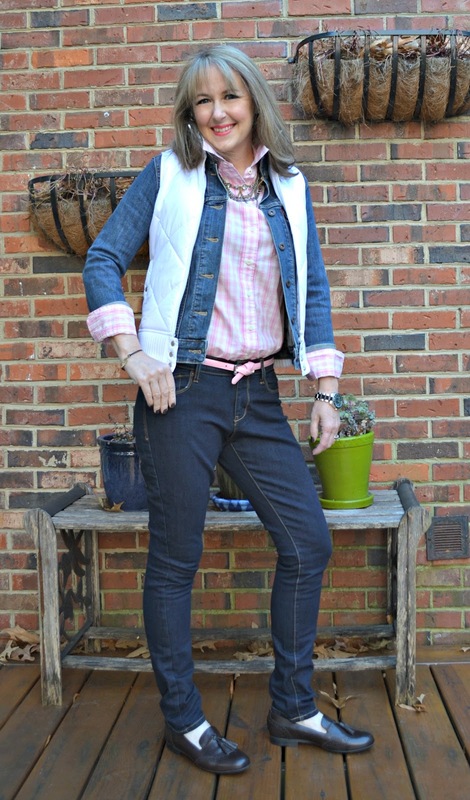 Perfectly preppy.. Too cute! So cute! I agree that this will be super-versatile for you. I can't wait to see how else you style them! They look like the soles are super cushy. You look so hip! I love your shoes. Those shoes are wonderful. I love them and covet them! 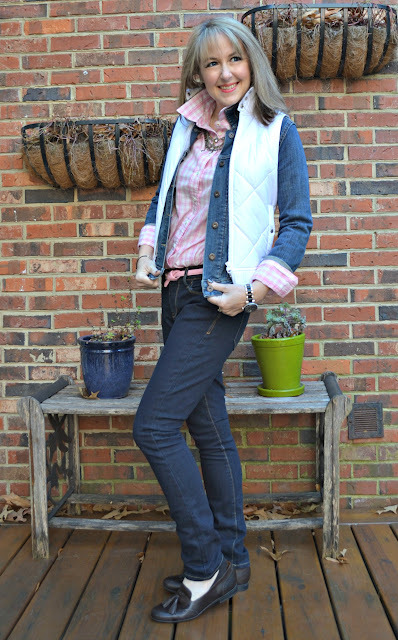 Cute and comfy! What could be better? My birth year.. Lol! I agree, super cute and comfy ~great combo! You look Hot in these Hotter shoes. Cheesy I know, but I couldn't help it. Great look! Those are some cute shoes. Tassles are always fun. I love the tassels! they look so comfy! 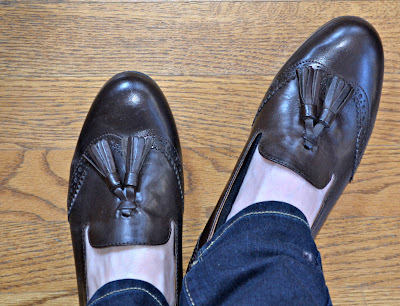 These are really nice loafers, classic and they look well made! Super cute loafers! I'll have to check out their website. Love the outfit that you chose to pair with them. It is casual but so stylish! They look so cute & comfy! The brogue detailing is so unique! I don't think I've ever seen a loafer with it before.